Beta Chapter of Phi Delta Theta at UNC - The Tar Heels Are Bowling in Orlando! Your 10th-ranked UNC Tar Heels, with a record of 11-2 on the season, will face the 17th-ranked Baylor Bears (9-3) on Tuesday, December 29, 2015, in the 26th Annual Russell Athletic Bowl, formerly known as the Blockbuster Bowl, CarQuest Bowl, MicronPC Bowl, Tangerine Bowl and the Champs Sports Bowl. One analyst described this year’s contest this way: “North Carolina vs. Baylor. This could be the best non-New Year’s Day bowl of them all between pyrotechnic offenses. Don’t miss it.” Kickoff is scheduled for 5:30 p.m. Eastern at the Orlando Citrus Bowl Stadium, with ESPN airing the gridiron matchup. The matchup features two of the highest scoring offenses in the nation. Baylor is ranked first nationally in points per game and total offense. Our Tar Heels are ranked in the top 20 in both categories (19th in offense, 11th in points per game). 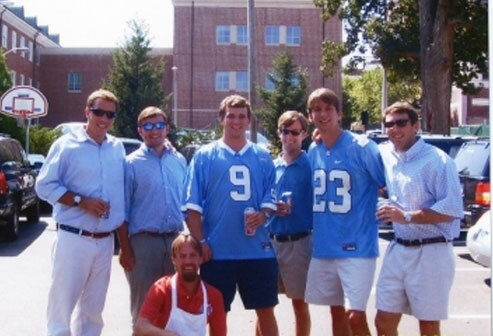 As with every event, as our UNC Tar Heels nation spans the country, we invite all of our brothers to gather at the game and cheer on our Tar Heels, as they attempt to end the 2015-2016 campaign with a win. So, come join your brothers in Orlando for this last chance to get a glimpse of your UNC seniors before the 2016 NFL draft!